ROCK THE BOAT 2020 IS HERE! Celebrating 10 incredible years, Rock the Boat returns for its biggest Rock music festival at sea in 2020, showcasing the best of rock artists from a colorful decade of past cruises. Rock the Boat 2020 is set to be one of the biggest releases of any music cruise to date. 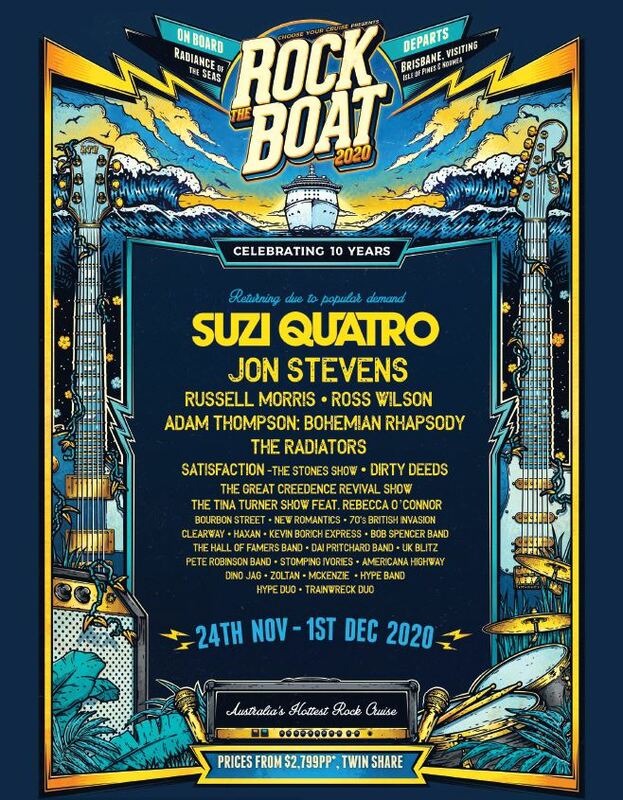 Following the overwhelming success of Rock the Boat 2019, which sold out in record time late last year – leaving hundreds of disappointed music fans without a ticket on board, have a very special cruise to celebrate ten years of Rock the Boat. 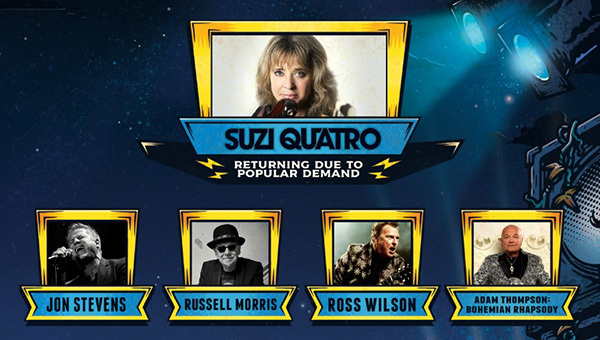 Due to popular demand, and for the very first time, American Rock legend Suzi Quatro will be headlining for her second consecutive year! The Wild One will be performing alongside 28 Rock artists who have helped pave the way making Rock the Boat what it is today. Now is the time to get on board to see Suzi in 2020. *Terms and conditions: All prices are in AUD based on twin share, and subject to change until confirmed. For further information on restrictions please speak with your advisor at The Cruise Centre.